Being independently owned means our design decisions are not compromised by a large corporate office that also sells sprinklers, vacuum cleaners or "widgets". We are not forced to manufacture products that are just "good enough". The entire Scag Team can focus all of its resources on designing, manufacturing and assembling the finest commercial grade lawn mower money can buy (reference the "Why Buy a Scag" web page for more details). Every mower starts off as sheet steel or tube steel. We punch, press, bend, cut, weld, paint, assemble, package and ship our mowers, and we do it all in one of our two factories. Scag makes Scag mowers, nobody else makes them for us and we do not make mowers for other companies. 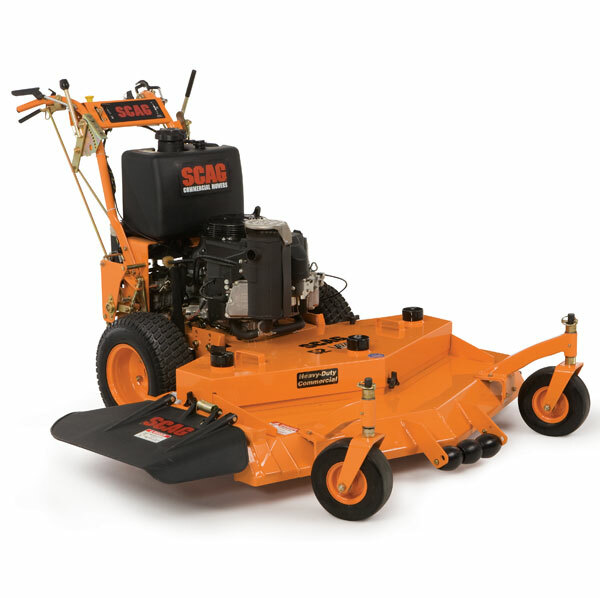 Scag mowers are assembled by highly trained individuals using the latest technologies such as pulse air torque guns. Mowers are run at the end of the assembly lines to ensure that the following items are up to specification: engine RPM is set, all safety switches are checked for proper operation, fluids are filled, systems are checked for leaks, and neutral and tracking adjustments are set using special dynamometers that apply load to the drive system. These steps add to the value of every Scag mower and ensure the product is the best it can be when it leaves our factory.